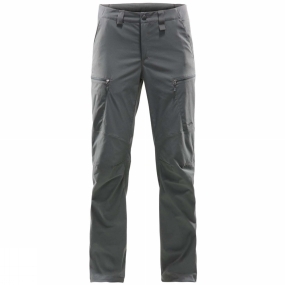 The Womens Mid Fjell Pant from Haglof are hard-wearing, solidly-built trousers, adjust them to fit perfectly over your boots, and hit the trail. Great for rough conditions, thanks to the durable fabric and functional weatherproofing (fluorocarbon-free for added peace of mind). Built rugged for heavy adventures.